Earth Science is one of the three major branches of science. Life Science and Physical Science are the other two. This branch of science covers the study of the Earth from its core to the outer reaches of space. If you would like receive our free Kids Science Newsletter that comes out monthly please click on the link to sign up. There is no cost or obligation to receive the newsletter. Volcanoes are fascinating for all kids to learn about. Huge explosive eruptions shooting hot magma into the air are fascinating topics for kids to learn about. In our unit on volcanoes we have webpages about the Hawaiian Islands and Mauna Loa Volcano. They learn about shield volcanoes, composite volcanoes and cinder cones. Notorious eruptions of Vesuvius and Krakatoa are also included in topics about volcanoes that are interesting to learn about. A new great shield volcano has been discovered in the North Pacific Ocean. Learn more about this massive shield volcano too. The Rock Cycle consists of three major groups of rocks. Igneous Rocks were at one time molten rock that cooled to form solid rock. Volcano rocks were all blown out of a volcano or cooled in a lava flow. Intrusive rocks cooled beneath the Earth's surface. 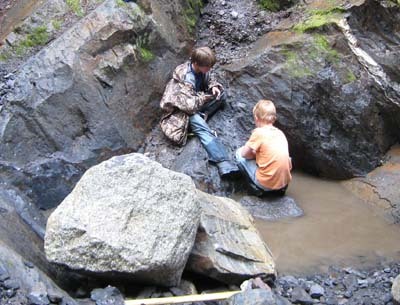 The boys in the picture above are looking for garnets near Wrangell, Alaska. The garnet ledges were deeded to the children of Wrangell many years ago where they collect the garnets and sell them to visitors. We live on a rocky planet that allows life on our planet to flourish. We are not too far away or too close to the sun to survive. Find out why our planet is so special. All earthquakes produce P waves and S waves. P waves travel through all layers of the Earth while S waves only travel through solid rock. Seismologists studied the speed these two waves travel through the interior of the Earth. They discovered the Moho Boundary, liquid outer core and solid inner core. 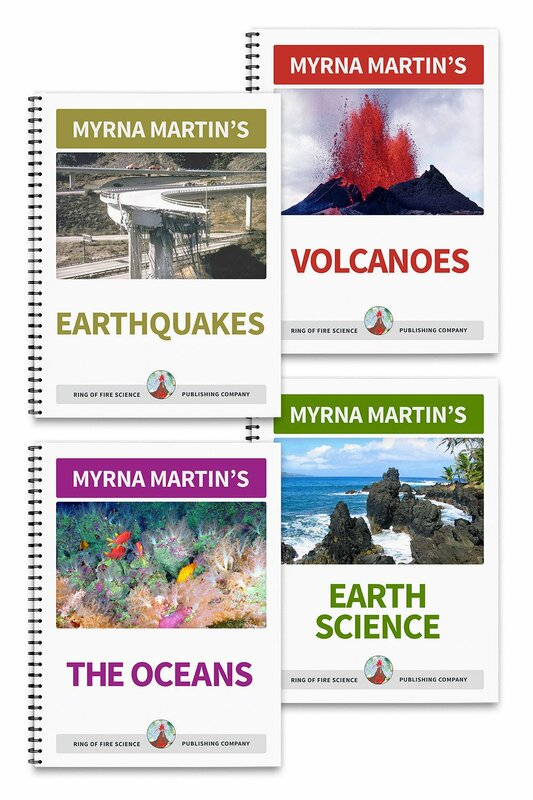 Kids Earth Science is a fun subject when kids do lots of activities to enrich their learning about our planet. Science activities, experiments projects and science fair projects on our website are all designed for you to have fun while learning. The activity pages are easy to do activities that demonstrate science principles with easy to find or recycled materials. The experiments and projects contain more in depth material that will take longer to do. The science fair information on our website explains how to turn science experiments and projects into entries at science fairs. Science Activities Our science activities are designed for all ages. 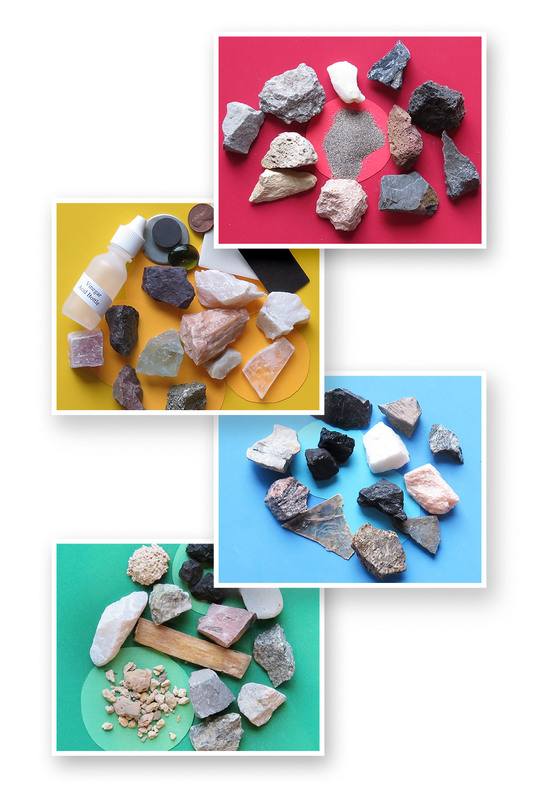 The activities use simple and easy to obtain materials. Science Experiments The science experiments in this section can often become a science fair project by using the scientific method. Volcanoes for Kids This unit on volcanoes includes information on the four major types of volcanoes, the eruptions of Vesuvius and Krakatoa. The Rock Cycle The rock cycle includes the three major rock families. Learn how each group is formed. Earthquakes Earthquake zones occur on our planet where tectonic plates are moving apart, smashing together or slipping past each other. Planet Earth Planet Earth is the only planet in our Solar System to have the right conditions to support life. 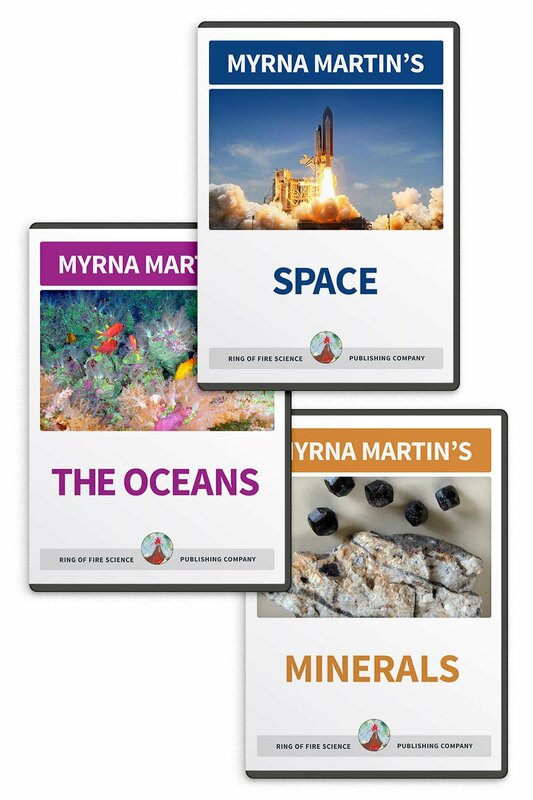 Learn more about our planet as you study our Earth Science units. Weather Forecasting Today scientists use Doppler radar, weather satellites, and computer programs to forecast the weather.